This lakefront home is ready for you! This is a home to enjoy the lake and community amenities like pools and tennis courts on your weekend. Canoe, fish or float from your backyard. If you need an office there is plenty of room in the huge master to add an office area that is private and quiet. take a look at how easy the master can be changed. All rooms have had a recent or new upgrade. In the 2 car garage is a lot of room for big SUVs or lots of storage. Lakefront, affordable and ready for move-in: you can have it all! Kitchen is impressive with recent improvements like recessed lighting, newer cabinets, flooring, newer appliances, brand new disposal and eating space. 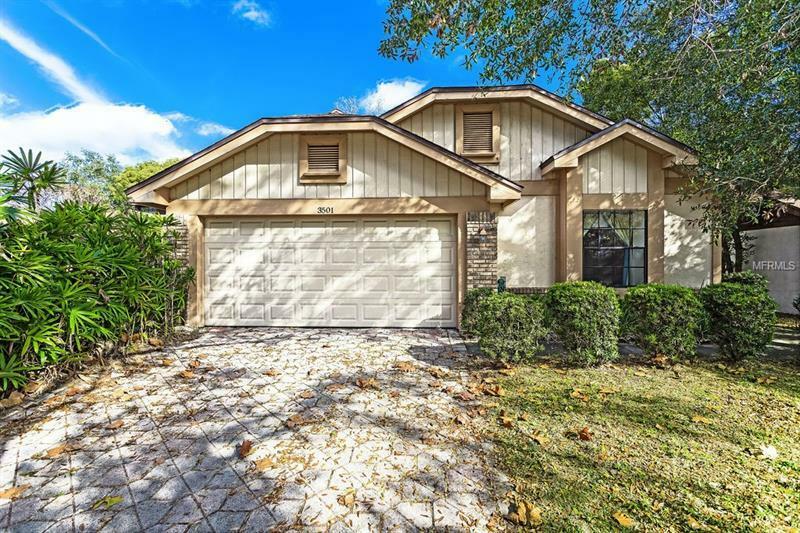 Baths are updated and engineered hardwood floors are best in class in the living and dining areas.. For its size and location this may be the best home in this condition in Orlando. Take a look and see for yourself and as an added bonus, seller has done everything necessary to make this home saleable. Great schools too and all just a very short drive away. Great neighborhood for those that like to run, play tennis, fish, swim or just walk the dogs. This home is perfect for living the Florida lifestyle you hear about in this great state. Gorgeous view to an open field, and this home is pseudo lakefront. You do not own any lake frontage. It is owned by the county but you get to enjoy the benefits without the taxes.